Who Is Natural Pet Organics? Well, we are a family-run business that has one true mission. We want to help your dog live a happy, healthy and vibrant life! It is as simple as that. Your dog should be active and full of life. And we want to provide you with the tools to help your dog live life to the fullest. Much like humans, there are many challenges which can impact your dog’s zest for life. No matter what the obstacle is, Natural Pet Organics wants to help your pup overcome these challenges. How Do We Help Your Dog? We have several different strategies for achieving this. Our first is by creating high quality, all organic, 100% natural products that will help your dog live their best life. The first product we released is Organic Hemp Oil specially formulated for your dog. Future products will include things like probiotics, shampoo/conditioner, dental hygiene products among others. To help your dog live a happy, healthy and vibrant life. We live by that motto and it goes into everything we do. This is why all our products are natural, organic, non-GMO and locally sourced. Your dog deserves the best, which is why we only use the highest quality ingredients possible. Well, if you made it this far - awesome job! It would be great if we could keep in touch. Use the buttons below to connect with us. Connect with us and other dog lovers. Follow Bailey and friends has he explores life and posts his adventures online. It is full of cute, funny and just plain ol' fun picutres. Have questions about your dog's health or lifestyle? Want to know more about hemp oil or purchasing from us? Bailey has all of your answers. 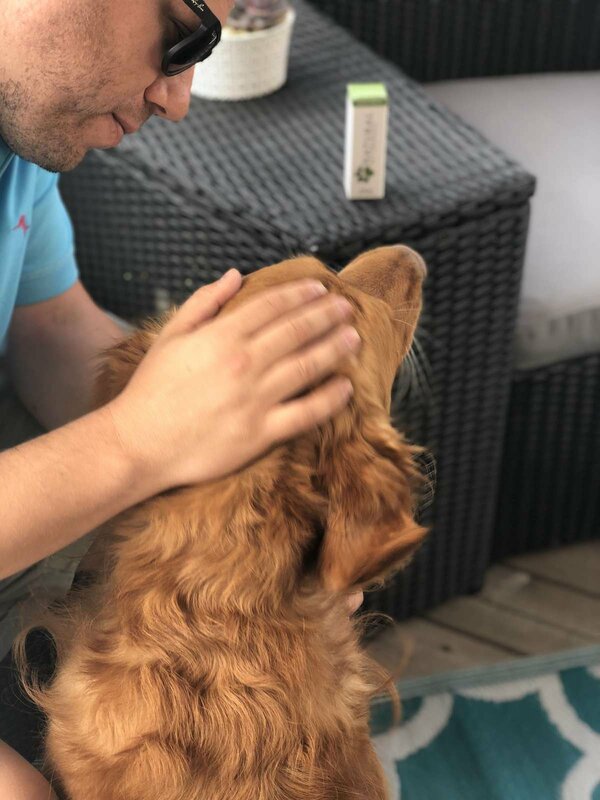 If you are confused about CBD Hemp Oil and how it can be used to help your dog, this is the guide for you. Everything you wanted to know in one handy guide.